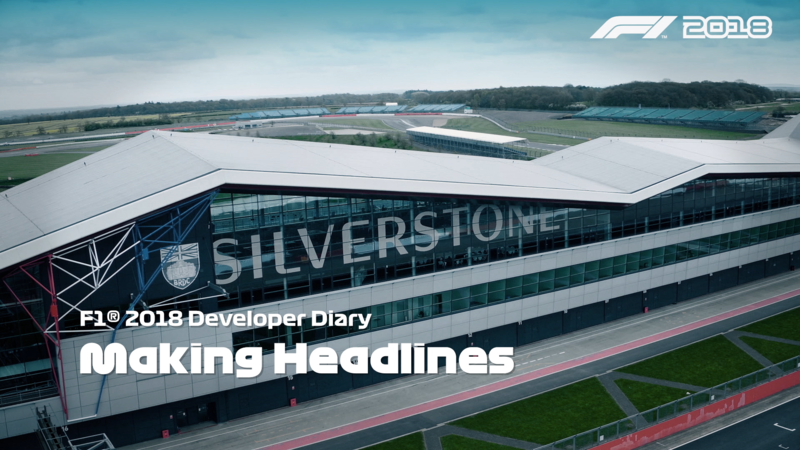 In this brand new dev diary, we introduce you to Claire, the new reporter character in F1 2018, and you can see how your interactions with her shape the way in which you are seen in the sport and end up directly affecting your career. Will you choose to exhibit showmanship or sportsmanship? Your answers can increase or decrease the motivation within departments in your own team, altering the price or reliability of upgrades, as well as any offers you might receive from rival teams. “The media are going to play a huge part in the player’s career,” Game Director, Lee Mather told us. “It’s not just important for a driver to be skilled on track. It’s all about being the complete package. The player will need to consider how their answers impact the morale of their team and also how they are perceived by the other teams in the paddock. The answers available to you will develop over time as your character becomes better known within F1. The interviews will take place in new locations in the Paddock and in front of the team and scrutineering garages, though the more eagle-eyed of you might have spotted those in the dev diary already. That’s not all, either! You now have more control over your destiny and can approach rival teams about a potential move, including the opportunity to switch within the season. You also have the opportunity to select your own championship rival. In this dev diary, we’re introduced to Claire – the new reporter character in F1 2018 – could you tell us a little about her? How will players interact with her throughout their career mode? As you’ve mentioned, Claire is a journalist who follows the F1 roadshow to each of the races. She’ll crop up throughout the season, sometimes to ask about on-track incidents, sometimes to discuss rivalries or on-track battles, other times to talk about the season. She’ll also be interested to know how things are going with you and your team, and any potential team moves and contract negotiations, as well as departmental morale. Everything the player says to Claire will impact upon their Career in some way. Claire will approach the player with time pressured interviews, with between 2 and 4 possible answers, all of which will have some sort of an outcome. The dev diary talks about sportsmanship and showmanship – could you tell us more? How can a player play towards one or the other? Something which is very evident in the world of F1 is the personality of the drivers. That’s something we felt should play a big part in the Career of the player in F1 2018. The way in which you chose to answer certain questions will determine what sort of a character you are. As a racing driver, do you exhibit sportsmanship or showmanship – when you’re facing the press, do you answer in a more diplomatic fashion or do you answer with something in a more confident or even arrogant way? How will choosing one over the other affect the player? Firstly, if the player is seen to be more acutely one type or the other, they’ll open up some additional answer choices, which are even more suited to their character, so if you’re already answering in a more overly confident way, you’ll be able to take that even further. The personality of the player will also impact upon which teams find them most appealing, as well as when they’re re-negotiating with their current team. As in the sport of F1, being fast on track isn’t the whole story, offering the team the complete package is key, so some teams will have a preference for a driver of a certain character type, this will impact on the players overall value to the team. This will be particularly important when negotiating a contract. Talking about contract negotiations, how will that work in F1 2018? 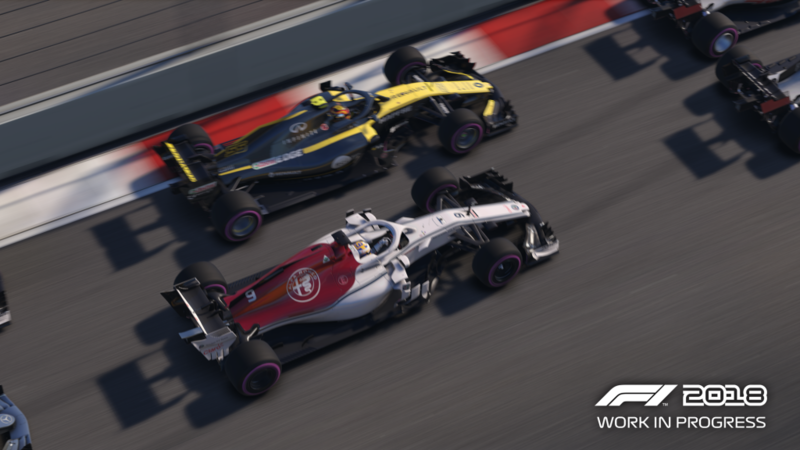 In F1 2018 we wanted the player to be the master of their own destiny. Something the community asked about in the past has been moving back down to a lower performing team, and not always moving up. By giving the player the chance to pick the team they want to drive for it’s then up to them to negotiate the deal to ensure they not only get the drive, but they get the best package based on how the team currently value them as a driver. During the negotiation phase, the player will get three attempts to gain or renew their contract based on the goals they are prepared to set for themselves, and the perks which they expect from the team. 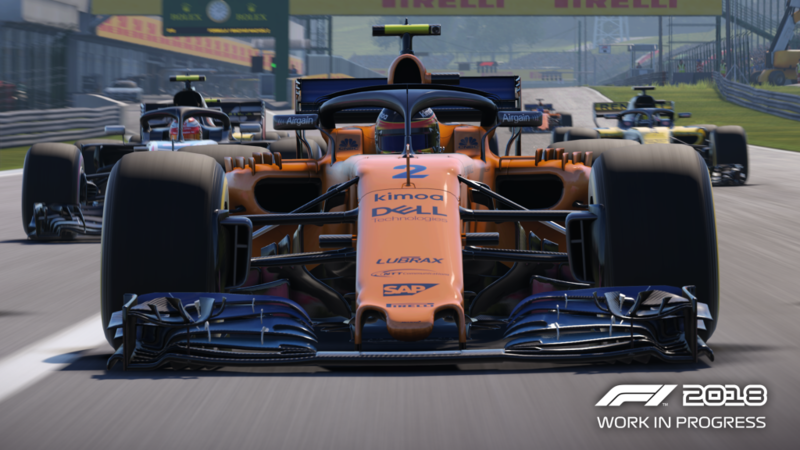 What are you most excited for the community to play in F1 2018’s career mode? I’m really excited to see the character of the people who are playing the game. I feel like we’ll see a larger number of characters moving towards the showmanship end of the scale, as some of the more confident, and almost arrogant answers, are very appealing! And finally, could you tell us which team you’re going to be starting out with in your own career mode? I’ve been giving this some thought this week, having started with Toro Rosso last year, and my beloved Renault the year before. I should probably tease this, and create a click bait style thumbnail for a new blog post, but I won’t, I’ll announce it now. This year, when I start my career play through outside of work, I’m going to pick Sauber, with Charles Leclerc as my team mate. They’re showing such fantastic improvement this season, the car feels great in game, Charles is really showing his class, and I think the car looks fantastic. That’s not all – we’ll be exploring even more career mode enhancements in part two of the developer diary series. F1 2018 will release onto PlayStation®4 computer entertainment system, the Xbox One family of devices including the Xbox One X and Windows PC (DVD and via Steam) worldwide on Friday 24th August 2018. Fancy pre-ordering? We can help you out – you can pre-order on PlayStation EU here, Steam here, and you can pre-order with a retailer in your country here. Make sure you keep it here for more F1 2018 news, and don’t forget to follow us on Twitter, Facebook and Instagram for more.